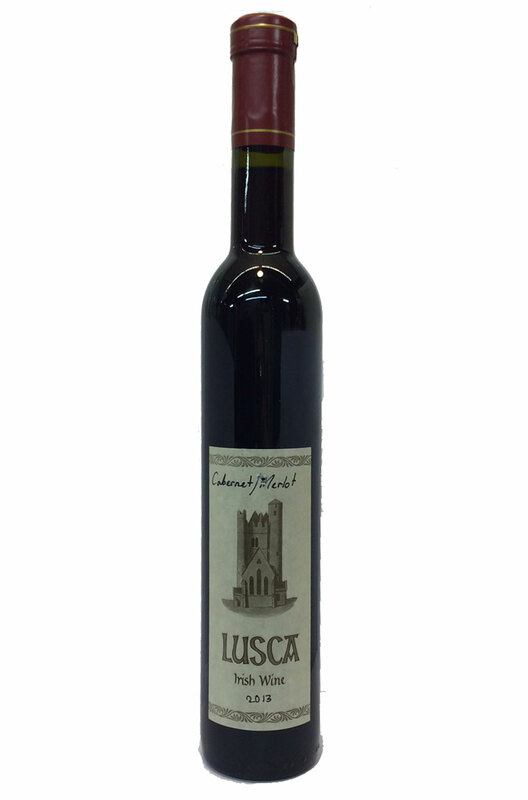 Light, fruity, slightly oaked , dry red wine made in Lusk from our grapes grown on Lusk soil. More like a Burgundy than a typical Cabernet Sauvignon wine. Producer David Llewellyn considers this vintage to be the best wine they have made so far! Nose On the nose there are aromas of red cherries, raspberries, and cranberries, with a pleasant hint of strawberries and vanilla. Palate The palate is dry and light-medium in body. Gentle tannins and good acidity help give the wine a delicate and refined palate. Flavours are similar to the aromas, with some strawberry/raspberry fruit, cranberry, and a touch of creamy vanilla. A light and soft red. Colour Pale ruby red core with a ruby/garnet rim. From Wicklow Way Wines comes this amazing strawberry wine. Created from handpicked Irish s..
A truly unique product that is made by infusing red wine from Rheinhessand Pfalz regions with I..
Our Cabernet/Merlot wine is made from 65% Cabernet Sauvignon and 20% Merlot, with the remaining 15% .. The Rondo grape is a relatively new variety and thrives in Northern wine regions like England and De.. The Black Raven is the symbol of the Fingal Region, where the Llewellyn vineyard is located in ..